The Archdiocese of Freiburg im Breisgau reports the news that an archeological investigation of the cathedral has revealed the presence of a traditional Freiburger Bächle running down the aisle of the building. Bächle are present throughout the city of Freiburg: they are small water-filled canals fed by the Dreisam river. The website announces further studies of this hitherto unknown part of the church’s history. Katholisch.de reports that the German Bishops’ Conference has ordered the obligatory use of a new incense, named after Pope Francis, during Mass. The chairman of the liturgy commission, Bishop Stephan Ackermann, claims that the new incense is healthier and prevents nausea and fainting fits. Any remaining incense of other kinds in churches is to be burnt as soon as possible. The Archdiocese of Bamberg has a solution for the shortage of priests in this digital age: holograms. 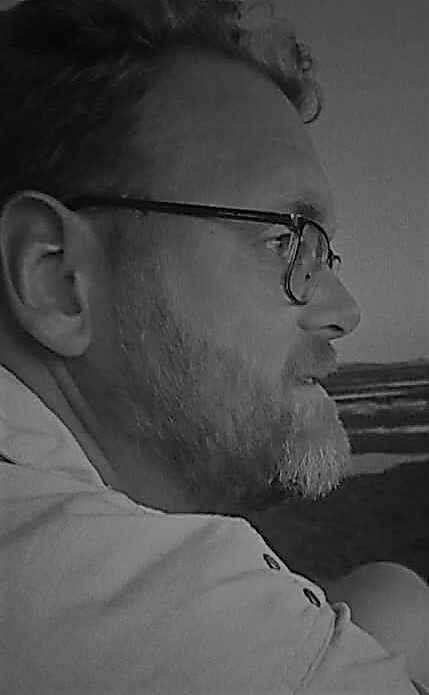 A priest is filmed by various cameras and the resulting image is to be beamed to several churches simultaneously. Archbishop Ludwig Schick has already taken part in tests of the new system, as shown at right. And for those who took all of the above seriously… Check the date. This has been a collection of April Fool’s jokes I found in Catholic media today. Few surprises in the list of participants in next month’s Synod of Bishops on youth of vocation, which was published on Saturday. As is par of the course for such assemblies, the bulk of the delegates is elected by their own bishops’ conferences and the heads of the Curia departments. The pope chooses a number of delegates himself, as well as representatives from other churches and church communities and experts on the topic of the Synod. As announced earlier, the Dutch and Belgian bishops have each chosen an auxiliary bishop from among them to go to Rome: Bishops Rob Mutsaerts and Jean Kockerols (pictured) respectively. A second Belgian bishop was chosen by Pope Francis, however, As in the previous Synod on marriage and family, Ghent’s Bishop Luc Van Looy will also take part in the proceedings. It will probably be his last major role on the world stage, as he will reach the age of 77 at the end of this month, and, on papal request, his retirement has already been postponed by two years. Pope Francis also chose a second Benelux bishop, who is not a member of any bishops’ conference. 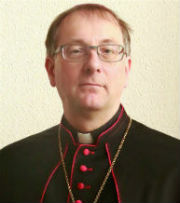 Archbishop Jean-Claude Hollerich of Luxembourg, who also serves as president of the Commission of the Bishops’ Conferences of the EU, the COMECE. The German bishops’ conference, being rather larger than those of Belgium or the Netherlands, have elected three bishops to represent them: Bishop Stefan Oster of Passau, Bishop Felix Genn of Münster and Bishop Johannes Wübbe, auxiliary of Osnabrück. The Nordic bishops have chosen the bishop of Reykjavik, Msgr. David Tencer. With two exceptions, all the cardinals in Pope Francis’ own selection of delegates are ones he created himself. Some have chosen to see this as Francis ‘stacking the deck’, but that is a nonsensical conclusion. Of course the pope sees potential in these cardinals, and wants to make use of their abilities, or he wouldn’t have made them cardinals in the first place. In February of next year, Pope Francis will receive the presidents of the world’s bishops’ conferences to discuss the “protection of minors”, as today’s press communique states. It is obvious that this announcement, originally proposed by the Council of Cardinals who concluded their 26th meeting today*, comes in the wake of, and is a reaction to, the events of the past weeks. Some think that February’s meeting, which has not been identified as an Extraordinary Assembly of the Synod of Bishops, as the participation of conference presidents only suggests. comes rather late. After all, the crisis is happening now, but it would be foolish to think it will be gone when the new year rolls around. The current crisis was triggered by investigations by a grand jury in the American state of Pennsylvania, but at this time, the attorneys general of six more states have either already subpoenaed dioceses in their states, have announced that they will do so, or, in some cases, dioceses themselves have invited AG’s to study their paperwork. This, and similar procedures in other countries, including Germany, assure that the abuse history of the Church will be with us for a long time to come. Things will not have blown over by the time the bishops meet in Rome. That said, the Church, from the Pope on down, does not have the luxury to sit back and do nothing until February. Too many high ranking prelates, including the pope himself, have been implicated or somehow included in accusations of silencing victims, hiding abusers, and not reporting crimes. The crisis has by now, rightly or wrongly, involved so many people, and high ranking ones at that, that proper action has become not only unavoidable, but extremely necessary. And continued silence is not that proper action. Finally, as some have rightly pointed out, while the prevention of abuse of minors and the identification and punishment of perpetrators remains high on the list of priorities, the current crisis in the Church is not only about that. The victims have not solely been minors. In the case of Archbishop McCarrick, they were seminarians, so young adults, and the abuse was later covered up by other priests and bishops. It is to be hoped that February’s assembly will recognise and discuss that aspect too. While Pope Francis is free to appoint other delegates to the assembly, and he would be wise to do so, the presidents of the bishops’ conferences are expressly invited, or, if you will, summoned. There are 114 Roman-rite conferences in the Church, and a further 21 of Eastern rites. The presidents of these are elected by the members of each conference, and they need not be a cardinal or archbishop (metropolitan or not). The president of the Dutch Bishops’ Conference is the bishop of Rotterdam, Msgr. 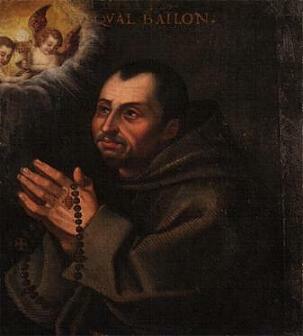 Hans van den Hende (pictured), while the Belgian bishops, on the other hand, are headed by Cardinal Jozef De Kesel, and the Germans by Cardinal Reinhard Marx. The Nordic Bishops’ Conference then, made up of bishops from five countries, have the bishop of Copenhagen, Msgr. Czeslaw Kozon, as their president. 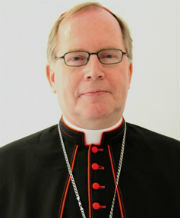 It is unknown if bishops from dioceses which do not belong to a conference, such as Luxembourg, will be invited as well. *And not on Monday, as I wrote earlier. Thanks for the correction sent by e-mail, David Cheney of Catholic Hierarchy! **A detailed investigation of several years has revealed, media suggest, almost 4,000 victims of abuse over the course of 6 decades. The official report is to be published in two weeks time.